← SF Squeecast Episode 32 is live! So, our odyssey began on Monday, when we went into Chicago to do pre-operative bloodwork. 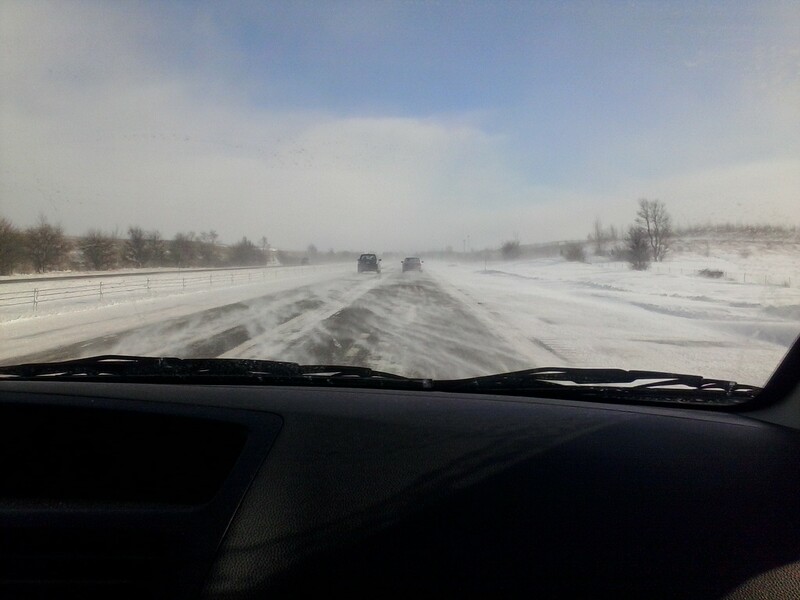 I-88 between DeKalb and Rte 47. The snow was drifting and blowing quite a bit, just enough to cover up all of the possible black ice. We waited until about lunchtime to leave for Chicago, in the hopes that the weather would be slightly better. *shrug* It was pretty suckily cold and windy, but most people driving were being reasonable drivers and not silly. We got into the hospital without any real problems, and I’m especially glad we did it during the day, because there was apparently a massive accident on the same stretch of road later Monday night, by which time we were safely ensconced at Mary Robinette Kowal’s apartment eating takeout. Mary is a wonderful hostess, and graciously let us stay at her place so that we were only 15 minutes from the hospital on the day of surgery, which, when you have to be there at 6am, is a BIG deal. As was the scotch, wine, and chocolate she left behind for us, along with her cats. Harriet, in particular, was very solicitous of our well-being. 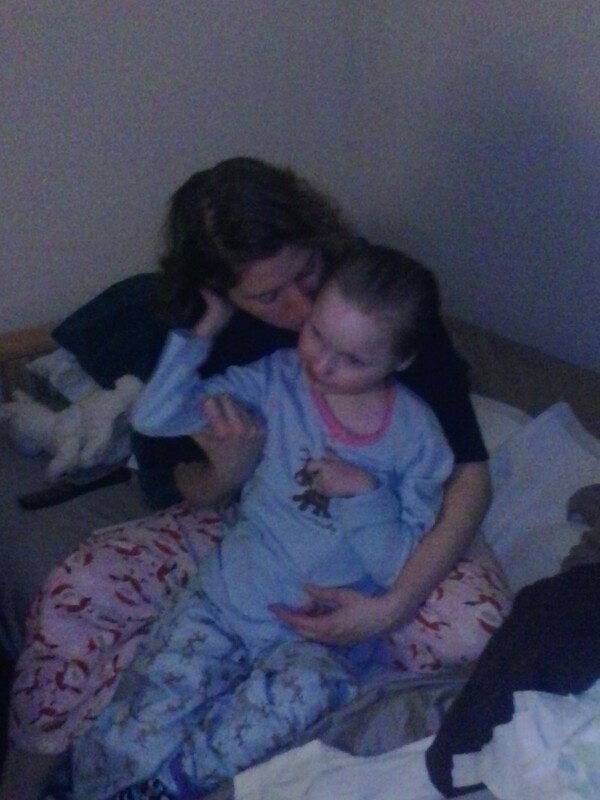 This is Cait after her bath in antibacterial soap (required by the hospital), just before bedtime. We tried to go to bed early on Monday night, but I had to get up to stop Cait’s feed at midnight, and we were up at 4:15 am to shower and get ready, pack up, load the car and get to the hospital, so it was a short night’s sleep, to put it mildly. We got in just after 6, which was fine, and waited for the parade of her care team to begin. 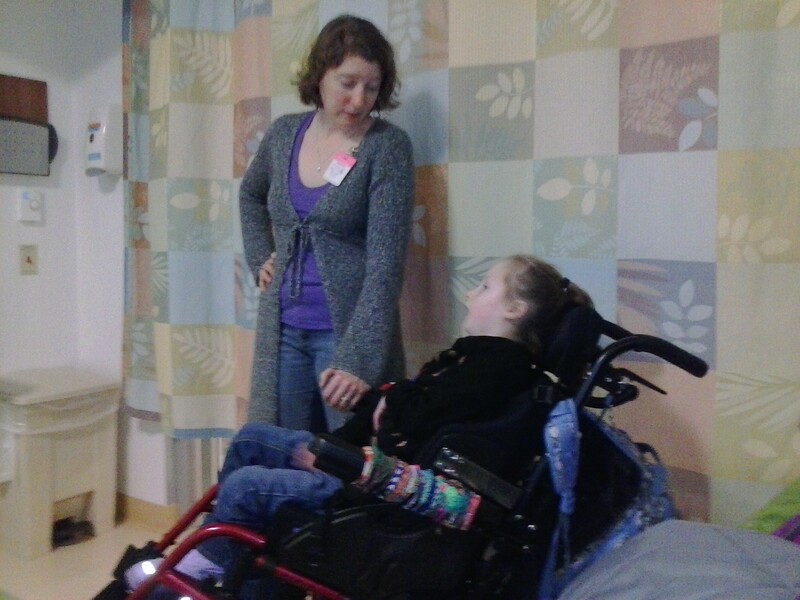 Hospital stays like this turn into a blur of people, all of whom are caring for your kid. We have been blessed with a truly fantastic team at Lurie. 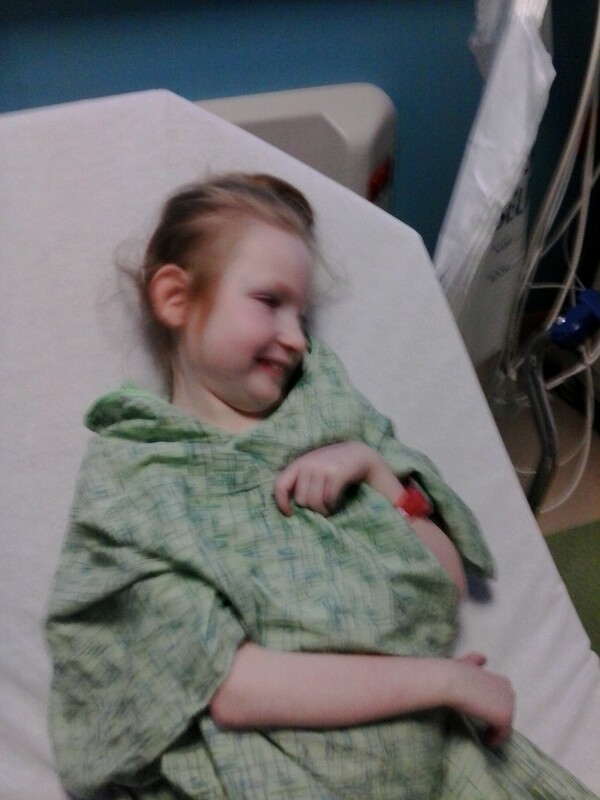 Eventually, Cait got changed into her gown for the surgery, which was ENORMOUS but in a fetching color. Around 8am, they wheeled her into surgery. And we began our long, long wait.